According to SimpleWater Recommendations, which are based on guidelines established by Federal and State agencies as well as leading academic research, the water samples you provided for testing demonstrate your water quality is Bad. This means your sample contained several concerning risk factors. Please read through your Report and contact us if you have any questions or concerns. SimpleWater's health risks analysis compares your sample’s contaminant levels to the latest publicly available toxicological and epidemiological research. This is done in order to give you a clear idea of what potential risks may be in your water. Click on each contaminant to learn more about its known health impacts and potential sources. This analysis should not be taken as professional health advice. If your result is to the left of the middle line it means we detected this contaminant but at a concentration that is not known to cause health problems for healthy adults. Drinking water contaminated at this level is not immediately concerning but is worthwhile monitoring since concentrations may vary over time and there may be a small long term health risk. Drinking water contaminated at this level over several years is thought to pose a moderate health risk. If you drink this water frequently it's worth considering treatment. Drinking water contaminated at this level over several years is thought to pose a significant health risk that should not be ignored. We do not recommend drinking this water without treatment. Drinking water water contaminated at this level is thought to pose a high risk to your health. If possible, other water sources should be used or appropriate water treatment should be installed. What do diagonal lines mean? Simply, they mean that any concentration of this contaminant is potentially harmful. The following section describes general indicators of your overall water quality. These parameters may not directly impact your health but they will influence the chemical nature of metals and other potential contaminants in your water supply. A measure of your water's acidity / basicity. In water with a low pH you may experience a bitter metallic taste and see corrosion. In water at high pH you may experience "slippery" water with a soda taste and find deposits on your fixtures. Determined by the properties of minerals dissolved in your water. It's a measure of your water's capacity to resist changes to pH. Strongly alkaline water has an objectionable taste which resembles baking soda. TDS is a measurement of all the Total Dissolved Solids we found in your water. Some contaminants raise your TDS, while others do not. Water containing high TDS will often smell bad and taste bitter, salty or metallic. Mostly representative of the calcium and magnesium in your water. Hard water may cause an unpleasant taste in your water and is known to leave residues on water fixtures, be harmful to your pipes and make it difficult to form bubbles when using soaps. The following section describes key parameters influencing the health of your pipes and treatment hardware. At moderate concentrations iron will give water an unpleasant metallic taste. Less than 1 PPM of iron may cause reddish brown stains on your water fixtures and clothing. Calcium has its own taste receptors on your tongue. A high concentration can taste bitter or sour. Some people enjoy the flavor it imparts on their water, but too much of it contributes to hardness and can form scale in your pipes. While magnesium can make your water taste better, too much of it can contribute to hard water and form scale in your pipes. You may notice a metallic taste and brownish-red color above 50 PPB. High levels of manganese can stain fixtures and clothing. HERE ARE THE GREATEST POTENTIAL HEALTH RISKS IN YOUR DRINKING WATER. At the end of your Tap Score report you'll find an exhaustive list of the contaminants tested in your sample and their position relative to these goals. As we continue to research water contamination and health we will update your score accordingly. Copper is an essential element for your health. However, too much of it especially among young children can cause vomiting, diarrhea and stomach cramps. Copper has also been associated with liver and kidney disease. The State of California suggests a safe level of 0.3 PPM and the US EPA suggests 1.3 PPM. Corrosion of pipes, faucets and other plumbing fixtures is the most common source of copper contamination in American homes (90% of which utilize copper pipes). Running your water for a minute before drinking can reduce copper buildup at the tap. Above 1 PPM, copper can cause a distasteful metallic flavor in your water and leave a blue-green staining on fixtures. Iron is commonly found in most home drinking water. It comes from natural sources like bedrock and soil and from rusting pipes and water fixtures. US EPA enforces a 15 PPB limit on lead in drinking water, but no amount of lead is considered safe. It accumulates in your body and has multiple toxic effects on your brain, liver, kidney and bones. Children are especially vulnerable to lead poinsoning, in particular, to damage affecting the brain and nervous system. Lead is a heavy metal that most often enters your water by corrosion of aging pipes, household plumbing systems, from the erosion of natural deposits nearby and by industrial activity waste streams. Changes in water chemistry (pH) can have a substantial impact on the relesae of lead into your water. You cannot see, taste or smell lead in your drinking water. Exposure to high concentrations of manganese over many years has been associated with toxicity to the nervous system. Manganese is a naturally occurring metal used in steel and corrosion-resistant aluminum alloys. Manganese is also an additive in unleaded gasoline, pigment, plumbing materials, battery cells, matches, fireworks, and fertilizer. It acts as a raeagent in organic chemistry and as an oxidizing agent. THESE ARE THE CONTAMINANTS WE DETECTED BELOW POTENTIALLY DANGEROUS LEVELS. Chronic mercury ingestion above the US EPA limit of 2 PPB can cause kidney damage. Methyl mercury in particular may be a dangerous neurotoxin, affecting vision, hearing and memory. Primary sources of mercury in drinking water are coal-fired power plants, medical and municipal waste incinerators, metal and cement manufacturing, crop runoff, and erosion of natural deposits. Nickel can be a potent human carcinogen at high doses, in lower doses it can lead to decreased lung function and allergic reaction. About 10-20% of the US population is sensitive to nickel. Nickel is a naturally occurring element found commonly in earth's bedrock as well as in the waste water from mining and smelting activities. Nickle compounds have no characteristic odor or taste. High sodium levels can lead to increased blood pressure and hypertension but sodium is not often found at toxic levels in drinking water. Sodium is commonly detected and tasted in drinking water. Saline intrusion, mineral deposits, seawater spray, sewage effluents, and road salts used in de-icing can all contribute significantly to sodium levels in drinking water. In addition, water-treatment chemicals and water softeners can cause high sodium levels at the tap. Sodium produces a salty taste in drinking water which can be detected (depending on someone's age) between 30 to 460 ppm. There are no known direct human health impacts from magnesium in your water. Magnesium is a key component of water hardness and is found naturally occurring in many rocks and minerals. Erosion eventually washes it into water sources. Sudden increases in magnesium levels could be due to increased oil and gas activity nearby a well. High levels of fluoride in drinking water can cause bone disease and dental fluorosis. Fluoride in drinking water is commonly eroded from natural deposits; used as a fertilizer, used in aluminum industries and also commonly added to public drinking water as an additive to protect teeth. As water travels over the land surface and through the ground, it dissolves naturally occurring minerals. TDS is a measure of all those dissolved particles in your water. It is a general characteristic of water rather than a specific chemical. Methemoglobinemia, "blue baby" syndrome is a severe risk when nitrate levels exceed 10 PPM and an infant or pregnant woman is exposed to such water. Nitrogen is an essential nutrient for plants and is commonly used for agricultural and lawncare purposes. Nitrates (and Nitrites) most often enter your drinking water from runoff due to animal waste, fertilizer, natural deposits, septic tank leakage and sewage. Nitrites will rapidly transform into Nitrates. Long term exposure to barium in drinking water can cause an increase in blood pressure and ultimately damage the cardiovascular system. Barium is natural present in soil and earth and is also used by industry, including: oil drilling muds, paper manufacture, soap, rubber, linoleum, dyes, pyrotechnics, metallurgy, and ceramics. High levels of sulfate (above 250 ppm) may have a laxative effect and cause dehydration, especially among infants. Sulfate most often enters drinking water when it comes in contact with underground rock formations and waste streams from nearby industrial activity. Laboratory testing detected significant concentrations of one or several potentially harmful contaminants in your drinking water sample. SimpleWater has vetted the following high quality water treatment products for the removal or reduction of these contaminants. As a reminder, we have no affiliation with any of the recommended companies but we do receive a small affiliate fee from Amazon if you use our link to purchase the product. We encourage you nonetheless to find the best deal you can. Your water sample tested as hard (12 grains per gallon). High hardness is known to cause problems in household plumbing, lower the efficiency of water heaters, dry out hair and skin, and create unpleasant marks on glassware. Additionally, high levels of hardness may shorten the life of water treatment systems. These are our recommendations for whole-home water softeners. Showing softeners intended for your level of hardness and a household of 1 2 3 4 5 6 7 8 9 10 people. Recommended softener capacity minimum: 24,962 grains. DESIGNED TO PREVENT: Scale formation in pipes, White residue on glass, dry skin. We could not match any softeners in our system with enough capacity to meet your requirements. Contact us for a customized recommendation. We cannot guarantee the accuracy of the contaminant reduction claims listed for each product. Water treatment is a complicated topic and we are here to help. Contact us for help from a water treatment professional. This is some information about nearby groundwaterthat may be useful when considering ongoing risks to your drinking water. These results are not related to your Tap Score report and are provided for informational purposes only. This concentration is thought to present significant health risks to individuals drinking this water untreated for a prolonged period of time. If this contaminant is present in your drinking water, it should be reduced using the appropriate treatment technologies. This concentration is above the level thought to present some human health risks from drinking this water untreated for a prolonged period of time. Its presence in your drinking water should continue to be monitored. You can click here to learn more about this data. If you'd like to check water risks at different locations, use the Local Water Quality tool. SimpleWater imports data from the EPA's Safe Drinking Water Information System (SDWIS). This data is updated at least once per month from SDWIS, but since the EPA makes no guarantees about its accuracy, we cannot do so either. If you see something strange, please let us know: hello@simplewater.us. Thank you! When you enter an address into the search bar, our system attempts to find public water systems that serve the county that location is in. The geographic service boundaries for many water systems are very complex and we may not always be able to match locations to water systems perfectly. If you have trouble finding your system, let us know. For every water system, this data is sourced from the regulatory enforcement portion of SDWIS. We look at the last 5 years (60 months) of data when making our calculations. System Risk Factors showing only 0 violations get ranked as LOW (green). System Risk Factors in the 1st to 59th percentile for violations of that type are rated as MODERATE (light orange). System Risk Factors between 60 and 80th percentile are rated HIGH (dark orange). System Risk Factors above the 80th percentile are rated VERY HIGH (red). We then display the top System Risk Factor by its overall classification and in the order of priority of the list above (with acute health violations as the highest priority). Users may expand the system cards to view all system risk factors rated MODERATE or higher. If you believe any information presented to be inaccurate or incomplete, please reach out to us at hello@simplewater.us. SimpleWater groundwater data comes from USGS and STORET databases, representing more than 300MM national groundwater monitoring results. We've made every attempt to ensure that this data represents actual groundwater like what our customers pump from their wells every day. It is a scientific fact that well water quality can vary dramatically even within very short physical distances and sometimes by season. In some cases the original data may be inaccurate and unfortunately we cannot guarantee the accuracy of these results. Groundwater quality results are gathered from an approximately 20 mile radius around the location you provide. We use water quality tests from the last 10 years to display positive results, and from the last 5 years to display negative results. Positive results are results for which a parameter is tested for and found. Negative results are results for which a parameter is tested for but NOT found. The risk calculation for groundwater uses the same health criteria as SimpleWater's Tap Score Water Quality Report. It integrates the concentrations discovered at a site with latest toxicological and epidemiological data to present a clear risk assessment for drinking the underlying water. LOW: This concentration is not thought to pose a threat to human health. ELEVATED: This concentration is above the level thought to present some human health risks from drinking this water untreated for a prolonged period of time. Its presence in your drinking water should continue to be monitored. MODERATE: This concentration is thought to present significant health risks to individuals drinking this water untreated for a prolonged period of time. If this contaminant is present in your drinking water, it should be reduced using the appropriate treatment technologies. HIGH: Water with any contaminant present at this level should not be consumed without treating it specifically for the underlying contaminant. Prolonged exposure to the contaminant could represent as much as a 1 in 10,000 risk of cancer or a roughly equivalent risk to the human body. 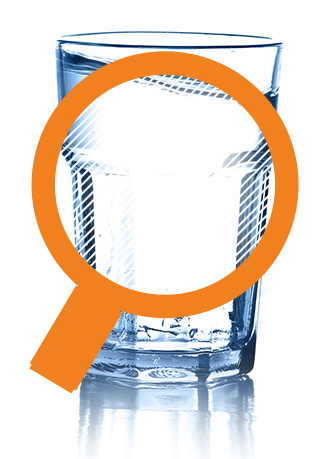 VERY HIGH: Water with any contaminant present at this level should not be consumed without treating it specifically for the underlying contaminant. Prolonged exposure to the contaminant could represent as much as a 1 in 1,000 risk of cancer or a roughly equivalent risk to the human body. SEVERE: Water with any contaminant present at this level should not be consumed without treating it specifically for the underlying contaminant. Prolonged exposure to the contaminant could represent as much as a 1 in 100 risk of cancer or a roughly equivalent risk to the human body. VERY SEVERE: Water with any contaminant present at this level should not be consumed without treating it specifically for the underlying contaminant. Even short term exposure to this contaminant at this concentration should be avoided. EXTREME: Water with any contaminant present at this level should not be consumed without treating it specifically for the underlying contaminant. Even short term exposure to this contaminant at this concentration should be avoided. Let us know what you'd like to ask and we'll contact the water system manager on your behalf. THIS IS A COMPLETE OVERVIEW OF WHAT WAS TESTED IN YOUR SAMPLE. Changes in conductivity likely indicate changes in your water quality but there are no known human health impacts, directly, associated with the conductivity of your water. Conductivity is a measure of your water's ability to conduct an electrical current. Though related to the mineral content in your water it does not give an actual indication of which chemicals are present. If your conductivity is substantially more than twice your hardness, then that may indicate the presence of other ions like nitrate or chloride. No significant health effects are associated with drinking calcium in your water. In fact, calcium is one of many minerals found naturally in water and essential to your health. As water enters the atmosphere it gets enriched with carbon dioxide (and forms a compound called carbonic acid). Later in the water cycle, that same water seeps into the ground and comes into contact with calcium-rich stone. The carbonic-acid-water extracts calcium from the stone and carries it through your pipes to your tap. 11DHL is primarily used as a solvent or a feedstock in chemical synthesis. It is also used a fumigant in insecticide sprays, in cementing rubber and for the extraction of temperature-sensitive substances. Colorless, oily liquid with a chloroform-like odor. Due to the limited and poor data on the effects of DCE on human health, it's danger to humans is extrapolated from a study finding liver damage in female rats after 2 years of exposure. DCE can potentially cause cancer in humans. DCE does not occur naturally, it is most commonly produced by industry during the formation of plastics (PVDC) for textiles, furniture, and food packaging materials like Saran Wrap. DCE is colorless and has a sweet odor at high concentrations. Not a lot is known about the health effects of 11DiP but it may be toxic to non-reproductive organs. 11DCPE is a chlorinated volatile solvent used in industrial cleaning and manufacturing. TCA predominantly affects Liver and Nervous system functions. Vinyl Chloride is a known human carcinogen. Even short term exposure to Vinyl Chloride in drinking water can cause Central Nervous System, liver damage and alter heart rhythm, damage reproductive organs and the thyroid. TCA is a solvent no longer in industrial use due to the Montreal Protocol on Substances that Deplete the ozone layer. TCA is colorless and has a sweet odor. 1112T is a solvent and is used in the production of wood stains and varnishes. DCE can potentially cause cancer in humans. Short term exposure can cause irritation of gastrointestinal tract and lung hemorrhaging. Long-term exposure has the potential to cause damage to liver and kidneys. TCE is a solvent used in the manufacture of vinylidene chloride, rubber and other organic products. TCE is colorless and has a sweet odor. The California EPA lists 1122TC as a possible human carcinogen with strong evidence of causing cancer. 1122TC was once a common solvent, degreaser, refrigerant and extractant. It was also an ingredient in paints and pesticides. Currently in the US it is only used as chemical intermediate in chemical synthesis. Even extremely low concentrations of DBCP in drinking water can result in an increased risk of cancer and male reproductive difficulties. Despite an EPA ban on DBCP in the 1980s, large amounts of DBCP still contaminant underground aquifers. The chemical was largely produced by Dow Chemical under the name Fumazon and by Shell Corporation for soil fumigation of soybeans, cotton and pineapple. oDCB is a component in the manufacture of paints, engine cleaning compounds, dyes and chemical wastes. Based on studies of liver cancer in rats in the late 1970's, human exposure to 12DCE has potential to cause cancer in humans. 12DCE is used in making chemicals involved in plastics, rubber and synthetic textile fibers and as well as a solvent in photography, photocopying, cosmetics and drugs. Occasionally it is used as a fumigant for grains and orchards. 12DCE is colorless and has a sweet odor. Based upon animal studies, the US EPA classifies DCP as a probable human carcinogen, affecting the liver and kidneys. DCP has been used as an insecticide, nematocidal soil fumigant, and in the production of carbon tetrachloride and the dry-cleaning agent perchloroethylene. DCP is colorless and has a coliform-like odor. 123TCB is a solvent and an intermediate for chemical manufacturing that was used historically as an insecticide for termite control. 123TCP is a known animal and human carcinogen (causes cancer). 123TCP is an intermediate chemical once commonly used in chemical synthesis, as an industrial solvent and a degreasing agent. The effects of TCB on humans is very limited so the US EPA has extrapolated human health impacts like liver and kidney damage from studies on rats. TCB is used in herbicide production for aquatic weed control among irrigation canals, lakes and ponds. It is also used as a dye carrier and as a solvent in chemical manufacturing. Not much is known about the health effects of 4TmB but it may cause harm to the kidney function and gastrointestinal system or liver. 1,2,4 Trimethylbenzene is found in coal tar and petroleum. It is used as a sterilizing agent and in the manufacture of dyes, perfumes, and resins. It is also a gasoline additive. 13DCP may cause cancer in humans. 13DCB is a volatile organic compound used to deodorize spaces and water. It is also used in mothballs. Not much is known about the health effects of 5TmB but it may cause harm to the kidney function and gastrointestinal system or liver. 135T is used in solvents, paint thinners, auto fuels, dyes and wood staining chemicals. 14DCB is used as an insecticide, germicide, and as a deodorizer for garbage bins and interior spaces. It is also a chemical intermediate in organic chemistry for manufacturing dyes and pharmaceuticals. Reproductive toxicity includes developmental toxicity and male reproductive toxicity. 2 Hexanone is a solvent for lacquers, ink thinners, nitrocellulose, resins, oils, fats, and waxes. It is also an evaporating solvent. It may form in drinking water that has been treated by ozonation. 2 Nitropropane is a rocket propellant, gasoline additive, and solvent. It is also used in chemical synthesis. 22DCP is a volatile organic compound used in chemical manufacturing. Can cause cancer and damage reproductive organs. 4M2P is a solvent, denaturant and excipient in drugs. It is also a component of adhesives used for packaging, transporting, or holding food. DDD was once a popular pesticide but is now banned. It is currently used medically to treat cancer of the adrenal gland. DDT is a pesticide that was once widely used to control insects for agriculture and malaria. DDT is a white, crystalline solid with no odor or taste. Unlikely to be a human carcinogen. Acetone is a common industrial solvent and chemical intermediate used in the manufacturing of plastics, fibers, cosmetics, film and many other consumer goods. A known endocrine disruptor and possible human carcinogen with moderate evidence of reproductive toxicity. Eye, liver, kidney or spleen problems; anemia. Alachlor is a widely-used plasticizer in flexible polyvinyl chloride (PVC) products, such as food packaging wraps. It is also used as a solvent, as a hydraulic fluid and as a chemical component of aircraft lubricant. Drinking water contamination with this pollutant is primarily due to discharge from chemical factories and iron foundries. Sometimes alachlor is detected in agricultural runoff due to it's other use as an herbicide for corn, soybeans, other crops. A synthetic chemical used in the production of pesticides and pharmaceuticals. It is discharged as a pollutant from various chemical plants including those of epichlorohydrin and glycerin. Aluminum can come into contact with drinking water sources from natural formations underground or from direct use as a water treatment coagulant or additive. It may also be released by metal refineries and mining operations. Antimony is commonly detected in the waste discharges from petroleum refineries. It is also used in fire retardants, ceramics, electronics and soldering materials. Arsenic is a common element in the earth's crust and unfortunately, quite toxic to humans. Natural erosion of arsenic from soil and rock is the most common pathway for arsenic to get into drinking water. It is also produced as waste runoff from orchards, metals production and electronics production wastes. Arsenic is colorless, odorless and tasteless. Atrazine is suspected of causing hormonal irregularities and reproductive problems in human beings. Not enough is yet known about atrazine and its cause of cancer in humans. Atrazine is a popular herbicide that inhibits photosynthesis. It is used on many crops including cauliflower, corn, sorghum and sugarcane, and in un-cropped areas such as wheat fallow. Atrazine is white in solid form, colorless when dissolved in water. Drinking water with benzene is known to cause anemia; decrease in blood platelets; increased risk of cancer and harm to the immune system. Benzene is commonly found in water near discharge from factories; leaching from gas storage tanks and landfills. It is commonly used as an indicator of other oil and gas related contamination. Drinking water with beryllium may lead to cacner, bone and lung damage. Beryllium is most often found in drinking water sources located near electrical, aerospace and defense industries. Bromobenzene is a byproduct of water disinfection. It is also an industrial solvent, an intermediate in chemical manufacturing and a motor oil additive. May affect the liver, kidneys, and central nervous system but there is not very much information available about Bromochloromethane in drinking water. Bromochloromethane is a disinfection by product formed from chlorine and chloramine disinfection of drinking water. It may also be used as a fire extinguishing agent. It can cause kidney, liver or central nervous system problems and has been shown to cause an increased risk of cancer. Bromodichloromethane is a disinfection byproduct from the trihalomethane (THM) family. It is commonly formed when chlorine, chloramines or other common water treatment disinfectants react with organic and inorganic matter in water. It was also formerly used as solvent, medicine (sedative), flame retardant. Bromoform in drinking water might cause kidney, liver or central nervous system problems and has been implicated in an increased risk of cancer. Bromoform is a disinfection byproduct from the trihalomethane (THM) family. It is commonly formed when chlorine, chloramines or other common water treatment disinfectants react with organic and inorganic matter in water. It was also formerly used as solvent, medicine (sedative), flame retardant. Not a lot is known about Bromomethane in drinking water but it is associated with the gastrointestinal system and may be suspected of reproductive toxicity. Used in industrial processes, BrMe is a methylating agent and a solvent for extracting oil from seeds and wool. Formerly it was used as fumigant and soil sterility until it was phased out of use in the US in 2005. Long term oral exposure to cadmium in drinking water may cause skeletal abnormalities, and harm to the kidneys, development and nervous systems. Cadmium is most often found in drinking water exposed to the corrosion of galvanized pipes. It is also present in natural earth deposits and can leach from batteries and paints. Has been shown to have reproductive and developmental effects in animals. Carbon disulfide is a fumigant, insecticide, and solvent. It is used in the production of rayon fabric, cellophane, rubber chemicals, pesticides, and carbon tetrachloride. Carbon tetrachloride in drinking water may cause harm to the liver and kidney, may cause brain disease and is likely to be carcinogenic to humans. Carbon tetrachloride is most frequently found in drinking water that is contaminated by nearby industrial activity. Chlordane is likely to cause cancer in humans. Chlordane is an insecticide that has been banned in the USA since 1988. Chlb contamination can affect the liver, kidneys and reproductive organs. ChlB is used in the manufacture of other organic chemicals and as a solvent. Strong evidence as a human carcinogen. Chloroethane is a refrigerant, an aerosol propellant and a blowing agent for foam packaging. It is used also a medicine and anesthetic especially for 'dead tooth' diagnosis. Chloroethane is also a chemical intermediate used in the production of thickening agents. Long term exposure to high levels of chloroform in drinking water can cause harm to the kidneys, liver, developmental system, and central nervous system. Chloroform is a disinfection byproduct from the trihalomethane (THM) family. It is commonly formed when chlorine, chloramines or other common water treatment disinfectants react with organic and inorganic matter in water. It has been used as a solvent and as a reagent in the production of dyes and pesticides. Chloroform has a nonirritating odor with a slightly sweet taste. Chloromethane is most commonly released during the manufacturing of silicone, rubber and pesticides. It is also formed as a byproduct of water disinfection with chlorine. Not much is known about the human health effects of Chlorotoluene but the chemical is known to be toxic to aquatic organisms. Chlorotoluene 2 is a solvent and chemical intermediate used in the production of pharmaceuticals, pesticides, synthetic rubber and dyes. Chlorotoluene 4 is used as an intermediate for chemicals and dyes or may also form as a byproduct of water disinfection. Total chromium, as sampled in water and the environment, takes two principle forms; tri-valent chromium (or chromium III) and hexavalent chromium (or chromium VI). Chromium VI is a potent human carcinogen according to the International Agency for Research on Cancers. It affects the human liver and kidney and is known to cause circulatory disorders as well as nerve damage. Meanwhile, chromium III is an essential human nutrient, excess of chromium III can cause illness and skin rash but is not as severe a health concern as chromium VI. The most common source of total chromium (and chromium VI) in drinking water is from the waste of nearby mining activity, electroplating and pigment factories. Chromium may also enter your water supply during erosion from natural deposits. 12DCY is an industrial extraction solvents. c13DCP is used in agricultural and soil fumigation practices. Kidney, liver or central nervous system problems; increased risk of cancer. DBClM is an unregulated byproduct of drinking water disinfection and a manufactured chemical used in chemical synthesis and as an ingredient in fire extinguishing fluids. DCM is used as a paint stripper, metal degreaser and as a propellant. Endrin is a pesticide used to kill insects, rodents and birds. It's use has been restricted since 1980. EB is used in the manufacturing of styrene as well as in production of paints and insecticides. It is most often detected in chemical manufacturing wastes. Not much is known about the effect of Ethyl Methacrylate in drinking water. Ethyl methacrylate is a chemical used in the manufacture of resins and plastics. HAAs are associated with increased risks of cancer and birth defects. HAAs are byproducts of drinking water treatment with chlorine. May cause cancer in human beings. Heptachlor was used as an insecticide for termite control until the 1980s. It can remain for a long time in the environment and is usually found in drinking water after leaching from old insecticides. A biodegradation product of heptachlor. Heptachlor was used as an insecticide for termite control until the 1980s. It can remain for a long time in the environment and is usually found in drinking water after leaching from old insecticides. HCB was once a common fungicide for seed treatment is is also a pesticide production waste by-product. HEX is an intermediate chemical used in the production of pesticides. Hexachloroethane is a synthetic chemical used in aluminum production and for military applications with smoke-producing devices. It may also be found in veterinary medicine, or as an ingredient in fungicide and insecticide. Strong evidence of neurotoxicity in humans and limited evidence for developmental toxicity. Hexane is a component in gasoline and glue products. It is also used to extract vegetable oil and as a cleaning agent for printing, textile, furniture, and shoe industries. IsoP is toxin formed during the production of cumene hydroperoxide. Lindane is an insecticide used among cattle, lumber, gardens. It has been restricted since 1983. Lithium is a common element in the earth's bedrock it can also enter your drinking water when there is contamination by leaking batteries, AC units, grease, electric cars, or pharmaceuticals. Methoxychlor is an insecticide used on fruits, vegetables, alfalfa, livestock and pets. Not much is known about the human health effects of this contaminant but there is a moderate chance of potential carcinogenicity. Methylene bromide Is a byproduct of drinking water disinfection that is used in chemical synthesis and in fire extinguishing fluids. MTBE is a potential human carcinogen at high doses. Before most US states banned its usage, MTBE was once commonly used as an octane enhancer in gasoline. Metribuzin is an organic fertilizer. Naphthalene may be a human carcinogen. Naphthalene is a chemical used in the production of polyvinyl chloride (PVC) plastics. Not much is known about the human health effects of n Butylbenzene in drinking water. n-Butylbenzene is used in chemical manufacturing and as a raw material for liquid crystals. Nitrobenzene exhibits strong evidence of neurotoxicity and may cause cancer in humans. Nitrobenzene is a synthetic chemical used in production of making dyes, herbicides and drugs. Not much is known about the human health effects of n-Propylbenzene in drinking water. n-Propylbenzene is found in the wastewaters of petroleum refineries, textile mills, automobile factories, plastics manufacturing, and publicly owned water treatment works. It is used in the manufacture of cumene and methylstyrene. Not much is known about the health effects of PCE in drinking water. PCE is used as a solvent, in metal cleaning, and in the separation of coal from impurities. Propionitrile is known to be toxic to humans but not much is known about its toxicity in drinking water. Propionitrile is an intermediate in use pharmaceuticals, ketoprofen and fragrances. Not much is known about the health effects on humans of sec-butylbenzene in drinking water. BBeS is a pollutant formed by the combustion of fossil fuels and in various industrial processes. Simazine is an herbicide used in grass sod, for protection of some crops, and to control aquatic algae. Styrene is a possible human carcinogen and has been linked to leukemia, lymphoma, and other stem, blood, and bone marrow cancers. It has also been shown to cause genetic damage and increase the risk of cancer of the esophagus and pancreas. It may cause nervous system effects such as depression, loss of concentration, weakness, fatigue and nausea. Styrene contaminates water supplies, mainly via industrial waste streams from rubber and plastic factories and leaching from landfills. Not much is known about the health effects on humans of tert-butylbenzene in drinking water. Tert Butylbenzene is a volatile organic compound and pollutant formbed by the combustion of fossil fuels and various other industrial processes. TClE is detected in water samples that come in contact with the improper disposal of dry cleaning and other solvents. Not much is known about its effects on humans in drinking water but there are suspected associations with gastrointestinal and kidney function. THF is used primarily in the production of dyes and lacquers as well as for food storage and packaging materials. There is some evidence of it being toxic to human organs. Toluene is a gasoline additive and can be found near manufacturing and solvent operations. It is a standard indicator of oil-related water contamination. The primary source of toxaphene in drinking water is from runoff of an old insecticide once commonly used for cotton and cattle. Toxaphene can remain in soil for up to 14 years. It is known to accumulate in aquatic organisms. Tr13D is used in chemical synthesis, in agriculture as a soil fumigant and nematicide, and as a corrosion inhibition agent. Trichloroethylene is a known human carcinogen. Trichloroethylene is a chemical used in textile manufacturing, adhesives and metal degreasers. Trichloroethylene is a likely human carcinogen. Fr11 is a banned industrial chemical. It was once used for degreasing, as a dry cleaning solvent, for refrigeration, and as a fire extinguisher component. A measure of the cloudiness of your water, or how much your water scatters light. Turbidity is caused by all the little particles and sediments that get into your water. Uranium is a known human carcinogen and causes liver damage. Uranium is commonly detected in groundwater and soil. It enters drinking water from natural sediments and from irrigation and runoff. Vinyl Chloride is a known human carcinogen. Even short term exposure to Vinyl Chloride in drinking water can cause Central Nervous System, liver damage and alter heart rhythm, damage reproductive organs and the thyroid. More than 15 billion pounds of vinyl chloride are produced in the USA annually. It is used in the manufacture of PVC, a material commonly found in building materials, automotive parts, furniture, pipes, wall coverings and wire coatings. Chronic ingestion of xylenes in drinking water can cause damage to your liver, kidney, nervous system. Xylenes can also cause issues with balance and coordination. Xylenes are a by-product of gasoline production and a classic indicator of oil and gas related water contamination. Xylenes are also commonly used in paints, inks, detergents and as a component of many consumer products including pharmaceuticals, solvents, adhesives, polyester fibers and films. It is also used to produce insecticides. They can enter drinking water by contamination from industrial and mechanical wastes. If you have questions about your report or treatment recommendations, the best way to get in touch with us is by clicking the chat icon on the lower right of your screen. You can also send us an email at: hello@simplewater.us. Schedule a re-test reminder. If you'd like us to send a reminder by email when it's time to re-test, just tell us when. Share the report with your neighbors, they might have similar water quality issues! Click below to open a version of your report without your name or address, so you can share it more broadly. Record the results of your Self-Testing. Tell us how we can improve Tap Score. Thank you for trusting SimpleWater Tap Score with your water quality. We look forward to helping you in any matters that pertain to our most precious resource. This report is meant for informational purposes only and should not be part of any regulatory or legal reporting. This feature is disabled for the example report. To get your own Tap Score visit our products page.